Tapani’s Day tomorrow has been an important day to horsemen. Men woke up early in the morning and went to sauna. After that they went to stables and enjoyed a soup made of rabbit or squirrel meat together with some beer and liquor. Eating this sacrificial meal was said to make horses prosper in the coming year. However, the bones in the soup had to remain intact and kept in the stable, otherwise the horsemen’s luck with horses would suffer. After luck with horses was ensured, people went horse racing. Tapani was the day for harnessing young foals for the first time and training them. Sometimes people even rode inside the house. Inside the house beer was poured on the horse’s head, back and mane. Then the horse was given some beer to drink and oats to eat. Finally, the rider also drank from the same pint and rode outside. After the more calmer joulu feast, Tapani was convenient time for young people – and also older ones – for more wild merrymaking. Girls gave ”Tapani’s thread” to the boys they liked, and the boys attached these threads to their hats. From the number of threads it could be seen who was the most popular boy among the girls. At the same time quality of the threads was compared and people could deduce who would make a skilled wife. 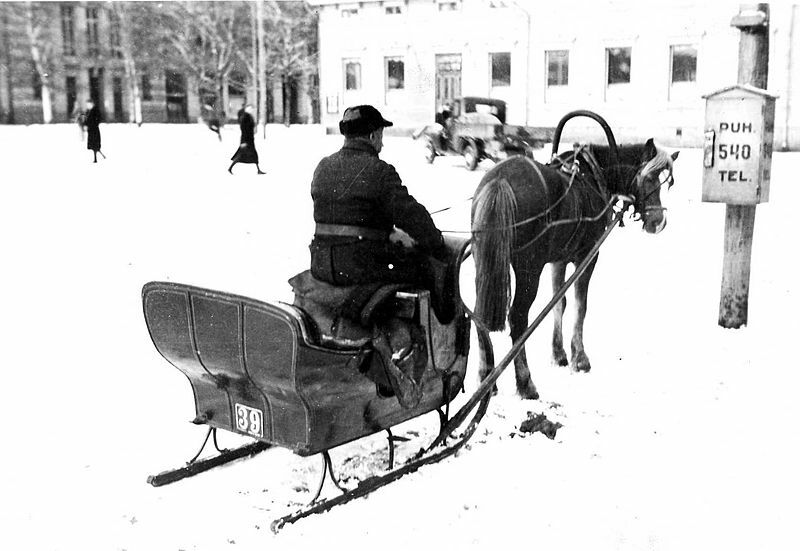 Categories: Art & Culture | Tags: Finland, history, horse, st.stephen's day, suomenusko, tapaninpäivä | Permalink.